SmartPrint has the knowledge and experience required to help manufacturing businesses reduce office and production printing costs, while improve efficiency across the organization. Printing is an integral part of business processes for manufacturing organizations – from product order through to the production floor ending with shipping and delivery of finished goods. The manufacturing industry is continually looking for ways to save cost and improve efficiency and there are many business processes in multiple departments that typically have room for improvement. file compression and many more. Partnering with independent experts in managed print services with experience in helping manufacturing firms can significantly improve up-time, workflow efficiency, document security and cost reduction. As MPS experts, we have vast experience providing continuous improvement for manufacturing organizations across Canada through managed print services. Fax Over IP to help reduce print costs and print device reliance. Contact SmartPrint to discuss how our MPS solutions and content management workflow can dramatically improve your firm’s efficiency driving competitive advantage in the manufacturing industry. 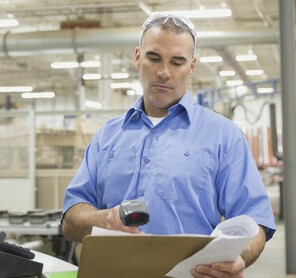 Complete the form below for your no obligation print assessment to see how managed print services for manufacturing organizations might improve your print environment.